For one brief moment, it seemed like "The Americans" was going to win Outstanding Drama Series. Here's why its four other wins are a miracle unto themselves. Instead, their unique blend of a spy thriller and family drama was simply the best show it could possibly be. Anyone saying they knew it would be this good — an AFI, TCA, Writers Guild, and Peabody Award-winning drama that consistently ranked among TV critics’ best-of-the-year picks — would have to have an actor on par with Keri Russell to get through the sentence with a straight face. But after six seasons, it’s hard to dispute where the series will fall in TV history: a surefire, first-ballot Hall of Famer, even after the TV Academy kept its Emmy wins to the Guest Actress category. … until Monday night when Matthew Rhys and the co-creators doubled the series’ win total in one evening. Rhys won Outstanding Actor in a Drama Series, while Weisberg and Fields won for Outstanding Writing. The two wins are huge given the series was only nominated for four total, but even with all of the above accolades, it’s frustrating to see TV’s best drama series go unrewarded on the big stage: Best Drama Series. So, to commemorate an awards run with a few major highlights and two glaring omissions, here are all the reasons “The Americans” never won Best Drama Series (and two possible reasons why Keri Russell was unjustly snubbed). Some stem from insight into the TV Academy, others are unsubstantiated rumors you should definitely ask the stars, producers, and network about on social media. Maybe a nine-month Emmy season drove this writer a bit crazy, but every bit of speculation needs to be investigated — after all, it would be a crying shame if all those losses really stemmed from the mail robot’s inability to send out screeners. One might think in the age of the TV antihero, a series focusing on America’s enemies would play well to Academy voters. But “The Americans'” focus on two Russian spies posing as Uncle Sam’s next-door neighbors also could’ve made it difficult for viewers (and voters) to engage with the human story. Granted, if you stuck around for more than an episode, it’s impossible not to connect with Philip (Matthew Rhys) and Elizabeth Jennings (Keri Russell), but not all TV watchers gave it that much time. Crazy Theory: Mail Robot was in charge of the series’ FYC mailers. Listen, everybody loves the Mail Robot. There’s an appreciation thread on Reddit and even a semi-official Twitter account. But maybe FX was blinded by love when the network decided to put the mail delivery robot to work in its Century City offices. Perhaps they shouldn’t have entrusted a rectangular robot running on ’80s computer software to send out the thousands of FYC mailers for “The Americans” in its final year of Emmy eligibility. Could they have predicted it would send all of those screeners to one address instead of 20,000? Probably not. Whoopsie. Legit Reason: The series needed older Academy voters to rethink the Cold War. 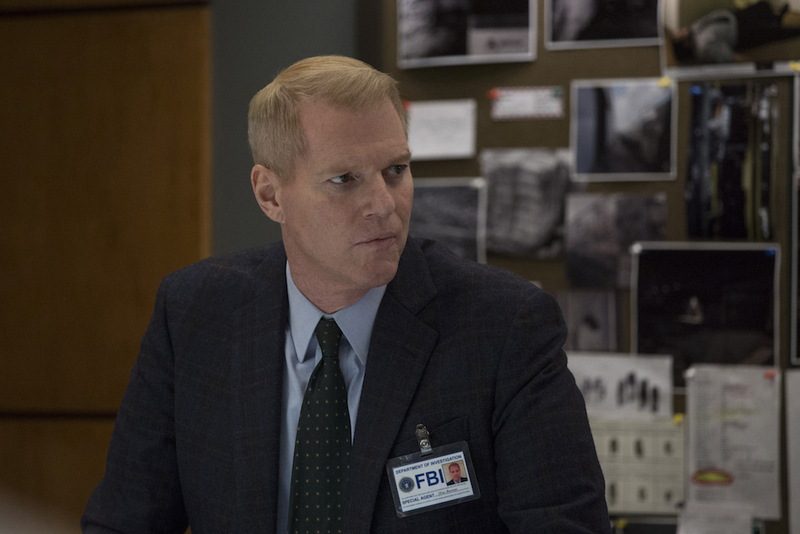 Crazy Theory: Noah Emmerich refused to pose in a swimsuit calendar to help sway Emmy voters. We’re not saying he should’ve done it — we’re not even saying it was really an option — but we are still bummed the excellent actor never got the recognition he deserved for playing FBI Agent Stan Beeman. Legit Reason: It never got the ratings it needed to compete. Even though it’s voted on by the industry’s best, the Emmy Awards is still a popularity contest. There’s a lot of TV for voters to watch, just like there’s a lot of TV for everyone to watch, and if they don’t feel like they have to make the time for something, odds are it won’t get nominations, let alone wins. “The Americans” stuck around long enough to finally break through with nominations, but it never amassed enough voters to get it to the winners’ circle. Crazy Theory: TV Academy members voted against “The Americans” out of spite for the critics who wouldn’t shut up about it. Critics’ love for “The Americans” is well-documented to the point of parody, but perhaps it proved too much for Emmy voters. Everyone has that friend who won’t stop nagging them to watch their favorite show, and that proverbial friend is universally hated. After six years of hearing “You’re an idiot if you don’t watch ‘The Americans,'” perhaps the TV Academy accepted the hard truth instead of acquiescing to critics’ intentions. Legit Reason: “The Americans” never tried to be timely or mainstream. Unlike the highest-rated drama series nominee (“Game of Thrones”) or the one consistently billed as the most “relevant” (“The Handmaid’s Tale”), “The Americans” didn’t try to win over four quadrants or stretch itself to be the story “we need right now.” Too methodical, honest, and challenging to ever play to as wide an audience as “Thrones,” the FX drama did have timely messages, but it skewed more universal than political. It’s a family allegory, all-in-all, and even when the series inadvertently became prescient — thanks to Russian tampering taking over the news cycle — the show didn’t lean into those storylines. These are qualities Emmy voters respond to, and while the show was better for not catering to voters, its awards odd weren’t. 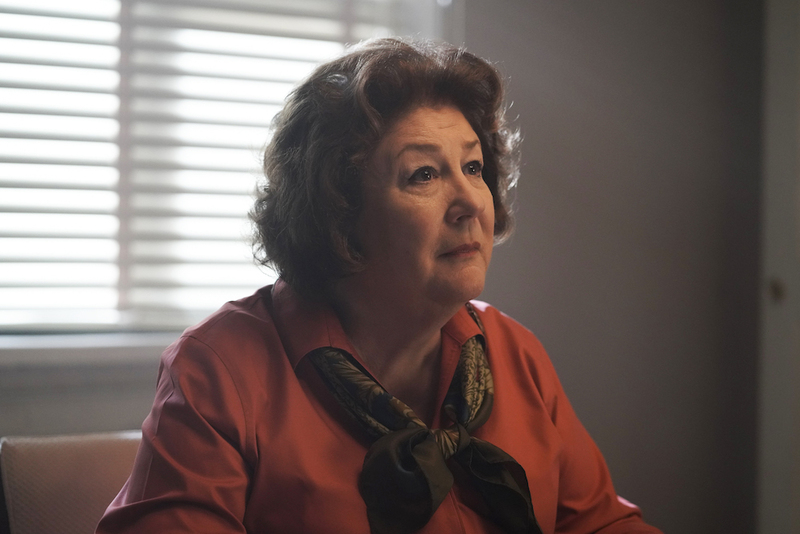 Crazy Theory: Character Actress Margo Martindale pushed her luck too far. 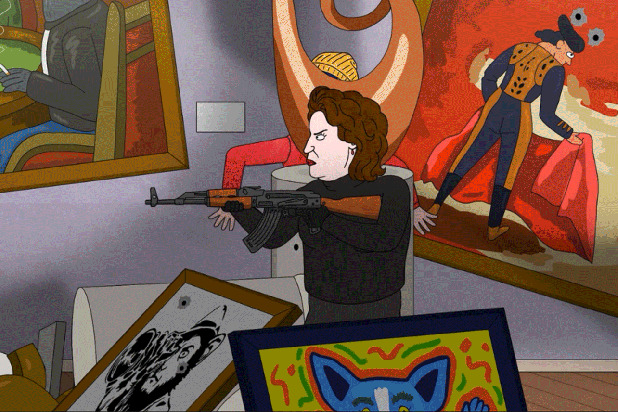 Prior to Monday night, “The Americans” had won two Emmy awards, and both went to Margo Martindale. The Guest Actress in a Drama Series from 2015 – 2016 is so beloved, rumor has it she tried to use her influence within the TV Academy to woo voters to another series: “BoJack Horseman.” But instead of spreading her luck around, she pushed it too far. Voters didn’t care for the Netflix comedy’s high intelligence, imaginative animation, or sharp wit — which explains why it’s never been nominated — but their negative reaction was so strong it also tarnished Martindale, who was never nominated again for “The Americans.” Luckily, the voters looked past her in recent years to nominate her co-stars and the series itself, but Martindale is a known pot-stirrer: She’s certainly gotten up to no good before. Legit Reason: Keri Russell was too good at being bad. Elizabeth Jennings is a challenging, often brutal, and occasionally ruthless character who does her best as a mom… with the qualifier that she’s also a Soviet killing machine. Put her in competition with “normal” moms (you know, who don’t stuff bodies into suitcases), and she’s far removed from snagging that coveted “Best Mom” mug. Some viewers never warmed to the Jennings’ family matriarch, nor did they want to engage with a deconstruction of TV moms or a reversal of roles that saw the dad become the emotionally fraught parental figure while the mom was constantly overworked, exhausted, and neglectful. Russell handled every side of Elizabeth with nuanced engagement, crafting shades of Elizabeth only seen by those paying proper attention. She changed a lot over six seasons, but you needed to stick around to see it happen. Crazy Theory: Keri Russell secretly drives way too close to the car in front of her. Only Keri Russell could convincingly pull-off such a fully realized transformation — switching between the world’s best human in public and the world’s worst human behind the wheel — and it’s the only reason anyone could see Keri Russell’s performance in “The Americans” and still not vote for her. Maybe that’s what the Mail Robot accidentally sent voters: Keri Russell’s driving record. “The Americans” is the new “Friday Night Lights.” When Jason Katims’ critically hailed NBC series ended, its final season won two Emmys: Kyle Chandler won Outstanding Lead Actor in a Drama Series and Katims won for Outstanding Writing. Prior to those last-chance wins, the series only won one other Emmy: Outstanding Casting for its first season. In the end, “The Americans” did one better than “Friday Night Lights,” and to do one better than the drama Leslie Knope calls the greatest of all time is nothing to sneeze at. Plenty of great dramas go unnoticed by the TV Academy, from “The Wire” to “The Leftovers.” That “The Americans,” in spite of all these reasons that make it at least somewhat unfriendly to voters, still walked away with four trophies in three different categories, well, that’s a minor miracle. Still, you know what they say: Clear eyes, full hearts, не может проиграть.